something while we wait and wait. The owner of Honeymoon mine in South Australia's north-east is set to be granted three new uranium exploration licenses in the region. 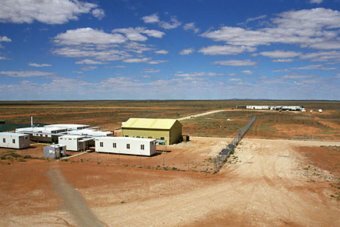 Honeymoon has been mothballed for 15 months but Uranium One was successful in an application to explore in three sites near the existing mine, 75 kilometres north-west of Broken Hill. It came as the State Government planned to hold an inquiry into the potential opportunities that could come from the state's expanding nuclear energy industry. The SA Department of State Development said Uranium One put forward a strong case to play a part in future discoveries. The Department's Mineral Resources executive director Ted Tyne said the exploration licences would be finalised in the next few weeks. "Mining is a long term gain, it's sustained by new discoveries and this area is very prospective for potential for further discoveries," he said. "I would expect that Uranium One will be actively looking to bringing forward new discoveries. "Uranium One was selected as the successful applicant because the very significant body of programs that the company proposed for exploration over the coming two years in terms of the technical quality of the work to be done, and also the financial commitment to doing this, was ranked significantly more superior to the other applicants." Two units at the Takahama nuclear power plant have moved one step closer to restarting following final approval by the Japanese regulator of changes in the reactor installations. They become the third and fourth reactors in Japan to gain such permission. The Nuclear Regulation Authority (NRA) granted preliminary permission to Kansai to make changes to the basic design of the reactor installations of Takahama units 3 and 4 in mid-December 2014. At that time, the NRA said that the applied design and safety features of the Takahama units - both 870 MWe pressurized water reactors - were deemed to meet its new regulatory requirements, announced in July 2013. Kansai first applied to the NRA for permission to restart the units in July 2013. It has since submitted various amendments to its plans - the latest being on 5 February - to increase the plant's resistance to extreme events such as earthquakes, tsunami and tornadoes, in accordance with the regulator's requirements. Such amendments have resulted from the findings of reviews carried out along the way, incorporating the details from the latest equipment designs. Following a one-month period for public comment, the NRA has now given its final permission for Kansai to make the required safety upgrades at the units prior to their restart. The NRA said it granted approval for the units' basic design after reviewing some 10,000 pages of documentation from Kansai, holding 67 review meetings and conducting field investigations for safety assessment. It also took into consideration public comment received following the publication of its draft assessment. The NRA said in the next step of the restart process, it will "review the detailed design and construction of the nuclear reactors and related facilities as well as operational safety programs, including organization systems and procedures for accident responses." 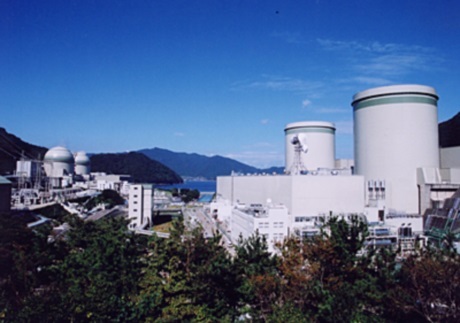 Units 3 and 4 of its Takahama plant in Fukui prefecture have remained offline since being shut for periodic inspections in February 2012 and July 2011, respectively. Kansai reportedly aims to restart the two reactors by November. So far, the NRA has only approved the restart of two other reactors, granting Kyushu Electric Power Company permission to make changes to the reactor installations of Sendai units 1 and 2 in September 2014. Local and prefectural government approval is also required before they can restart. Safety assessment applications for 17 other reactors remain at the review stage. Last updated 13.53pm 19/04/2019 (live) ?